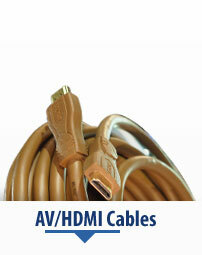 Within our range of AV/HDMI cables we include subwoofer cables, fibre optic cables and HDMI cables. 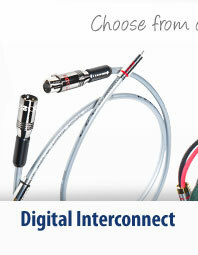 However, for the very necessary Digital interconnect cables often required in AV setups, please visit our main Digital Interconnects Section. 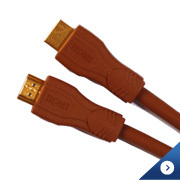 Each Ecosse interconnect - analogue sub and digital HDMI, coax or fibre optic- offers a genuine improvement on its predecessor. 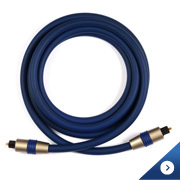 With each cable upgrade 'noise'is progressively reduced and dynamic range increased, which improves the overall performance of your system in terms of sound stage, clarity, detail, focus, high and low frequency extension - bringing you ever closer to the music/ movie as the artist/ director who performed/ directed it, intended it to be heard/seen. 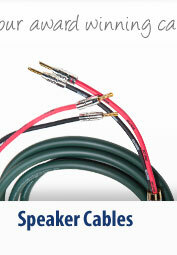 Please remember, a cable is not a tone control, nor does it add information. However it is safe to say that all Ecosse Reference Cables against competitors at similar price points: 'least subtract the vital musical information to let the music flow through!' 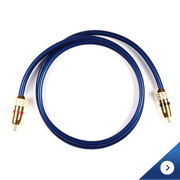 Put simply, with each cable upgrade, 'noise' is progressively reduced ensuring increased bandwidth and this combination enhances the overall performance of your system and your listening/watching enjoyment. 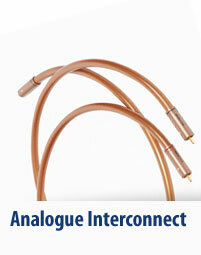 If it would help to know which interconnect cable best suits your hi-fi or home cinema system we recommend you check out our choosing the right cable as we cannot stress enough that significant improvements are possible from matching mains cable, loudSpeaker and interconnect cable-grade-wise (see our 'at-a-glance' Cable Match Table) throughout your system, thus enhancing synergy. Remember, we're a purely handcrafting outfit. 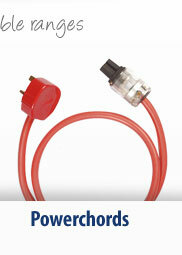 Unlike the big boys, the vast majority of our cables are handcrafted right here, in Scotland. It's why we keep things small. It affords us the necessary attention to detail, and it's what we enjoy doing. At Ecosse Reference Cables we offer a 'custom-made' cable service, and will tailor-make cables to suit our customer's every need, even those that cannot be met through our standard ranges.